The release of Sonic the Hedgehog in the early '90s was one of the key moments in the famous 'console war' between Sega and Nintendo, and would enable the former to challenge the latter's dominance of the global games market. Given the success of that first game, you would have imagined that a sequel was put into production without any delay, but amazingly the core team behind the first Sonic melted away after its release. It took the efforts of Mark Cerny - who more recently served as chief system architect on the PS Vita and PS4 - to reunite as many members of the team as possible to work on Sonic 2 at Sega Technical Institute in North America. The story of how Sonic 2 was made - and how it became arguably the character's best outing - is pretty remarkable, and YouTube channel Splash Wave has done an amazing job of summing it all up. Check out the video above and let us know what you think by posting a comment. To be honest, Sonic CD feels more of the true successor to Sonic 1. Higher emphasis on platforming, dreamy aesthetics, and a darker motif. It isn't as highly regarded as Sonic 2, but it deserves some credit for really "feeling" like a sequel. Though Sonic 2 was definitely the way to go. More accessible, more colorful, and more fun. STI NA definitely heralded the torch well for Classic Sonic. I watched up to the point where he said "segger", then turned it off in a fury filled rage. Dang, that was a beautifully made video! Imagine a Sonic make using the stuff around the 6:05 time mark. That would be hard, but fun. Also this is one of my favorite games of all time, so there is that. 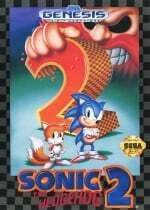 They did great then, as Sonic 2 may be the best sequel in gaming, in regards to how much it improved from the 1st game. As a die-hard Sonic apologist, even I have to say... I don't enjoy his very first game. "The story of how Sonic 2 was made - and how it became arguably the character's best outing"
In my opinion it is one of the worst. It is absolutely the worst one amongst the classic ones, but unfortunately some of the more recent games are on par and even worse. Sonic 1 is my favorite followed by 3&K. Sonic 2 isn’t the greatest to me. @NinChocolate @LuckyLand Yeah Sonic 3 was my favorite followed by Sonic & Knuckles, then Sonic Mania, then Sonic Adventure 2 Battle for GameCube. Sonic 2 then the rest of the Sonic games would be listed in no particular order. I honestly don't see why Sonic 2 is terrible, it was a great side-scroller with multi-path per level. It introduced some really cool bonus stages and gave player a reason to collect the 7 chaos emeralds. It feature both free roaming and auto-scrolling levels, had a wonderful soundtrack, gave us the spin-dash, and feature co-op play as well as versus multiplayer mode. @Jayenkai I still hear some people pronounce it “seega” too. You’d think by now everyone would have booted up a MegaDrive Sonic game at some point and heard from the very first screen how to say Sega. What a great video. Now I wanna play the scrapped zones. Sonic 2 is one of my all time fav games. A great step in the Blue Blur’s legacy. Strafe Fox videos are always amazing. I don't know how I haven't actually subscribed until now! Fixed. And yeah, Sonic 2 was incredible. I remember the launches of Sonic 1, 2 and CD so clearly, I completely bought into the hype - probably the main reason I love videogames so much is these three games and the design choices behind them. Playing Sonic 1 for the first time at a friend's house was what turned me from "videogames are fun things that the cool kids like" to "videogames are my life's obsession"
@EmmatheBest I thought that title went to "Street Fighter 2." Sonic CD is like the Adventure of Link, FE Gaiden, or SMB2 of the Sonic series. Great video! Funny to see that they already had the time-travel aspect back then, but it moved to Sonic 3 eventually.